Forty minutes in, one of the activist investor’s friends got a cramp and started to scream. “This is the kind of stuff where people drown. 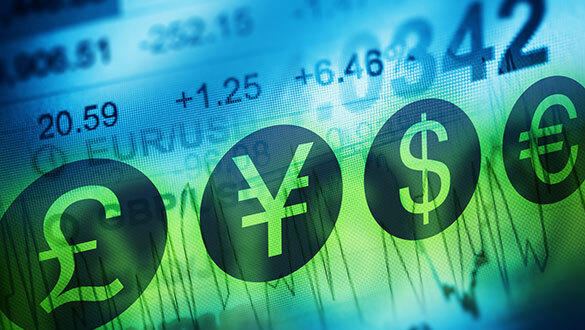 I thought I was done,” says Robert Jaffe, founding partner of hedge fund Force Capital. Another hedge fund manager, Kase Capital’s Whitney Tilson, survived the ordeal by crossing his arms over his chest to hold in body heat.“There’s nothing more frightening than swimming in the ocean at night,” he says. At the time, Ackman didn’t have much to fear. It was January 2015 and Bloomberg had just named the then–49-year-old the top hedge fund manager of the year after his Pershing Square Capital Management hedge funds turned in blockbuster returns of 37 to 40 percent. He alone had earned nearly $1 billion, making the Institutional Investor’s Alpha list of the highest-paid hedge fund managers. It was classic Ackman — a man known for his ability to spin the most unpleasant event into a positive experience. In retrospect, however, the Navy Seals weekend was a high point. Pershing Square’s assets were then $18.5 billion, in part because Ackman had raised $3 billion the previous October by launching a permanent capital vehicle, Pershing Square Holdings, a publicly traded hedge fund listed on the Amsterdam Stock Exchange. At the time, his annualized return over 11 years was more than 20 percent, among the highest in the industry. Today, after losing billions of dollars and with his hedge fund assets halved, Ackman is in darker waters. And as questions swirl about his future, even he admits he’s not having fun anymore. “It’s never fun to lose people’s money,” Ackman acknowledged in a recent, wide-ranging interview in his airy midtown Manhattan office, its white marble floors and expansive Central Park views a world away from the bare-bones Navy Seals training camp. Pershing Square, meanwhile, is facing its third down year in a row, and Pershing Square Holdings — which is now also listed on the London Stock Exchange — is trading at little more than half its IPO price. That this year’s losses are relatively minor does little to change the narrative, one marked by the firm’s disastrous loss on disgraced Canadian drugmaker Valeant, Ackman’s five-year battle with Herbalife, and the more recent proxy defeat at ADP: The onetime boy wonder of activist investing is enduring a historic losing streak. Ackman still owns some big winners, but his funds are carrying losses on a number of other bets. These include troubled eatery Chipotle Mexican Grill, which Ackman claims is in the midst of a turnaround as it searches for a new CEO, and his long-suffering short on Herbalife, the multilevel marketing company he believes is a pyramid scheme. A number of Ackman’s traditional hedge fund backers aren’t waiting around to see if he can change the losers into winners. Over the past two years, investors have pulled about $2 billion out of Pershing Square. The overall firm is now down to $9.5 billion in assets under management — and likely faces more redemptions at year-end. All of this is happening, of course, during a raging bull market. Ackman’s most recent defeat is yet another disappointment. In November, after a bruising 90-day proxy battle for board seats at ADP, the human resources software company, Ackman failed to win a seat for either himself or Pershing Square’s two other nominees. The recent battle with ADP shows how fraught Bill Ackman’s path back to glory has become. To understand the dynamics, one must look to 2014 — and Ackman’s last blowout success. That year, Ackman teamed up with Valeant CEO Michael Pearson in a daring and controversial bid for pharmaceuticals company Allergan by taking a nearly 10 percent stake in the target. Allergan escaped Valeant’s grasp by selling to Actavis, another serial drug company acquirer. Pershing Square made $2.2 billion as the stock soared. Making immense amounts of money with Pearson in the effort to buy Allergan clouded Ackman’s judgment, says an individual close to him. But in March 2016, as Valeant continued to crater, Ackman helped engineer Pearson’s ouster, joined the board, found a new CEO, and began trying to stabilize Valeant. Although his efforts helped stave off bankruptcy for Valeant, Ackman says he was spending too much time on such a small position. He finally sold out this past March, losing $4 billion. This year, Ackman was hoping for something with less drama for his comeback. He chose not a classic value play — a beaten-down stock in a troubled industry — but something solid, if boring, that he believed had the potential to be greater. After kicking around several ideas, and after six months of research by his team, he settled on ADP. The choice left people scratching their heads; the stock had done nothing but go steadily up for years. “I thought even if we were unsuccessful as an activist, we were still going to make money,” Ackman concedes. In fact, he is already profiting. Pershing Square paid an average of $104 per share for an 8.3 percent stake worth $2.3 billion at the time. The stock is now hovering around $116. Pershing Square began buying shares in May, when ADP was trading under $100, then bought more after raising $500 million in a co-investment vehicle with several investors, including some who’d never invested with Pershing Square before. With more people in on the action, rumors that Pershing was buying ADP began to leak into the market and the stock began to surge, leading to a Bloomberg report on July 27 that Ackman was building a stake. Earlier that day, ADP had announced earnings, missing analysts’ estimates and lowering its guidance for the year. Such news typically sends a stock down, but the Ackman rumors led ADP to spike to $120. Ackman says he had never before contacted a company until after he finished building his position. But the news — though unconfirmed — was out. And besides, he wanted a favor. On August 1 he called ADP president and CEO Carlos Rodriguez because nominations to the company’s board were due in ten days. Ackman says he asked for an extension to that deadline so he could meet with the full board to share his analysis of the company after incorporating the latest earnings report and guidance for the next year. “What did ADP have to lose?” he thought, figuring there was an 80 percent chance of a consensual outcome. Speaking with Institutional Investor, Ackman laid out his thinking publicly for the first time, noting that he believed his success with Air Products and Chemicals — the industrial gas company that had agreed to take Pershing Square’s suggestions and eventually installed its CEO candidate with no public fanfare — would be a positive. After all, the former chairman of Air Products was also ADP’s board chair. And Ackman says he had been told by several former high-level ADP executives that Rodriguez was planning to retire soon. He miscalculated. During the initial conversation with ADP’s Rodriguez, Ackman says the CEO told him the board had just met that morning with investment advisers on how to deal with the famous activist. Ackman’s recent losses — and the black eye Valeant had given him — had made him vulnerable. But, he says, what happened next stunned him: ADP went for the jugular. On August 4 — before Pershing Square had even filed formal paperwork announcing its stake in ADP — the company put out a press release. Ackman, they said, wanted to control ADP, fire Rodriguez, and add five people to the board. They would not agree to his request for an extension. The news blindsided Ackman. “I never sought five directors, never. I never said Carlos had to go,” he insists. But ADP continued to seize the advantage. The CEO went on CNBC to decry Ackman as a “spoiled brat” because he wanted an extension, playing into a narrative of Ackman as arrogant and entitled. In many ways, Rodriguez was borrowing a page from Ackman’s book by taking his case to the media. “ADP obviously made a decision that the danger of ad hominen attacks was lower because Bill was on the ropes, so to speak, ” says one Wall Street executive. For his part, Ackman claims the higher ground. “I didn’t throw one barb. I’ve been a gentleman the entire time despite the other side’s name calling,” he says. Rodriguez declined to comment for this article. 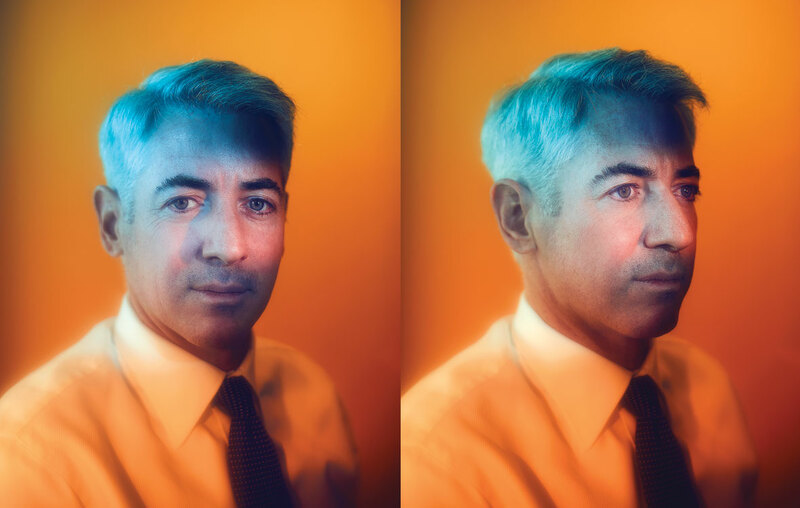 Whether it’s ADP, Herbalife, or Valeant, Ackman lives by the unconventional move — and regardless of the recent losses, his personality is one thing that isn’t likely to change. “It’s hard to make a lot of money if you’re doing what everyone else is doing,” he says, shrugging. With much of Wall Street against him, Ackman refused to back down. To date, Ackman’s exhaustive efforts have maimed, but not killed, Herbalife. Following the company’s settlement with the Federal Trade Commission in July 2016, Herbalife agreed to alter its business practices, and its North American revenues have been falling dramatically since the changes went into effect in May. That isn’t likely to be easy in an era when the type of value investing Pershing Square engages in is out of favor, with tech giants driving the market higher and Bitcoin the latest fad. Activist hedge funds as a group are underperforming other hedge funds as well as the overall equity market this year, according to analytics firm Hedge Fund Research. Moreover, Ackman’s portfolio is so concentrated — it now has only ten positions — that a big loss in any one stock can swing the fund into the red. Take Chipotle. Pershing Square took a $1 billion stake in the beleaguered Mexican-food chain in September 2016, when the stock had been cut in half after a series of health incidents in which customers became ill while eating at numerous locations across the U.S. This year, Chipotle appeared to be coming back, but the stock fell precipitously after another incident in the summer. Ackman, who was a fan of Chipotle burritos before he bought the stock (he famously ordered one during a lunch meeting with Valeant’s Pearson), is typically unperturbed. “The problem with the judgment on Chipotle — it’s just too early. It’s 12 months after we joined the board of directors. We’re long-term investors. Chipotle is in the middle of a turnaround, and the stock is down from where we bought it. It doesn’t bother me at all, though it’s poor timing to have that happen to us now,” he says. But there’s little doubt that after Chipotle’s most recent health scare, something had to give. Last month founder Steve Ells agreed to relinquish his CEO post, becoming executive chairman while an executive search is underway. Despite a 12 percent uptick since the change was announced, Chipotle was still down 16 percent on the year as of December 2. “The problem with our business is we’re making long-term investments, but we’re always going to be judged on a marked-to-market basis every day,” explains Ackman, contrasting his hedge fund with a private equity fund that can nurse companies out of sight for years. The stock prices of the few companies in which Pershing Square owns stakes are public, and it also has a hedge fund that is now publicly traded. “If the stock goes up very quickly, everyone’s going to say great, these guys are geniuses. If the stock goes down in the first year . . . they are going to say we screwed up,” he points out. Because Pershing Square is so big in these stocks, it can’t trade in and out as other hedge funds often do. It seems that everything that could go wrong for Ackman has. In 2013 he took a gamble on Fannie Mae and Freddie Mac, the mortgage giants whose profits were seized by the federal government in 2012, and now has a more than 10 percent stake. Fannie Mae stock was so cheap that with the price near $3 today, he’s still up 50 percent. But the investment hasn’t yet offered the home run he needs, and Ackman is dependent on either successful litigation or Washington — Treasury Secretary Steve Mnuchin or Congress — to take the mortgage insurers out of conservatorship and recapitalize them. “Ackman is still hugely respected by most financial practitioners,” says Renny Ponvert, CEO of Management CV, a company that evaluates corporate executives. In his MBIA short, Ackman showed “tremendous tenacity,” he notes. Another winner was Ackman’s bet on mall owner General Growth Properties in 2008, when it was nearing bankruptcy, which has earned Pershing Square 60 times its capital. “But I think there’s a natural bias on Wall Street to look at people’s last deal as their most significant,” Ponvert adds. Over the past few years, Pershing Square has been steadily selling out of some of its remaining hits, like Canadian Pacific (with a 327.1 percent gain) and Air Products (up 105 percent), to raise money for new investments and to meet redemptions. However, so far Ackman hasn’t come up with any new bets that have matched the returns of his past winners. He is better positioned to hang on than most, given his permanent capital vehicle that now accounts for more than half of the firm’s assets. There is also a relatively tight lock-up on capital at most of his other funds: In the largest share class, only one eighth of an investor’s capital can be withdrawn per quarter. In some ways, the recent ADP fight was a test to see if Ackman had learned from earlier missteps. Those expecting a repeat of the fireworks of the Herbalife battle or the full-throated defense of the Valeant bid surely went away disappointed. In a blizzard of TV interviews and webcasts, and even a so-called fireside chat, Ackman seemed to have tempered his passion; he droned on and on about ADP’s margins and the competition ADP faces, rather than engaging in a battle with its CEO. Several Wall Street analysts applauded his research, and a number of big investors — like BlackRock, the California State Teachers Retirement System, the Ontario Teachers Pension Plan, and the State of Wisconsin Investment Board — voted for his slate. Ackman claims that the bulk of the hedge funds invested in ADP also supported him. Next year, as he tries to get back to his high-water mark, Ackman will have a chance at a fresh beginning. He’s already working on a new, as yet undisclosed, investment. Later in the year, his hedge fund will be moving to new headquarters, trading the luxe offices with the lofty Central Park views for cheaper digs overlooking the Hudson River. In 2015, Ackman, with a partner, bought a Depression-era industrial building on Manhattan’s 11th Avenue that most recently housed a Ford Motor Co. showroom. Extensive renovations to the structure — including the addition of a rooftop tennis court — are underway. The rent, Ackman is quick to point out, will be 40 percent cheaper than that for Pershing Square’s midtown location.